You choose what you smoke with loving care, so why shouldn't you do the same with your cigar accessories? Each and every product in these collections is hand chosen by our knowledgeable team in order to make your experiences a tad more special and flavorful. From timeless Zippo lighters and ultra-efficient guillotine cigar cutters to analog and digital hygrometers, humidors and cigar shirts, we have the tools and supplies you need for a remarkable smoking experience. Make every smoke memorable with one of JR Cigar's cool cigar accessories. Shop the best online selection of humidor and humidifier deals to keep your premium smokes impeccable at home & on the road at JRCigars.com. 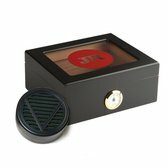 Buy top-quality travel accessories, hygrometers, glass humidors and more at JR Cigars.com. 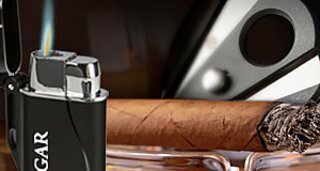 Save on top brands like Cigar Oasis, Boveda & Xikar with daily deals. 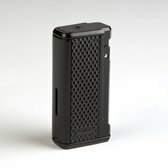 Buy top-quality cigar lighters online today at JR Cigars.com for the lowest prices online & save big with daily deals! Shop state of the art torch lighters by Xikar, Colibri, Jetline, Lotus & more. Light up your favorite premium cigars in style with wind-resistant flames. 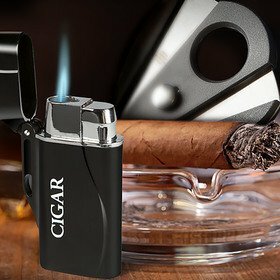 Order sleek, affordable, quality tested cigar lighters! 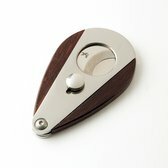 Buy top-quality cigar cutters online at JR Cigars.com for the best selection for the lowest prices possible & daily deals. Shop stainless steel guillotine cutters, v-cuts, punch cutters & cigar scissors from brands like Xikar, RoMa Craft, Colibri. Order your new affordable cutter online today at JR Cigars.com! 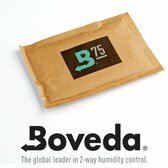 Boveda has truly re-invented the art of cigar humidification by using a patented two-way humidity system. Boveda's device not only emits the perfect amount of RH into your humidor, it will also absorb excess humidity in over-seasoned humidors. Buy here at JR Cigars! Looking for a cigar ashtray? Whether you’re at home or on the go, you can trust JR Cigar for a crystal, ceramic or stainless steel ashtray. Browse both large and small cigar ashtrays today. Get the most out of your smoke with a wooden tobacco pipe from JR. Indulge in this distinguished tradition with our selection of pipes and accessories. Keep your cigars fresh and your smoke smooth with cigar cases from JR. From leather to sharkskin, these cigar travel holders will store your stogie safely. Get A Grip Clips are a handy accessory for smokers on the go that don’t want to drag along a cumbersome cigar ashtray that often slips and slides and can easily be misplaced. Available when you shop JR Cigars. For that special occasion, give the cigar enthusiast in your life the gift of precision and perfection with our luxury line of Xikar Gift Sets. Buy Room 101 Jewelry at JR Cigars.com. Fashioned with the same boldness as the cigars, Room 101 jewelry by Matt Booth is the luxury lifestyle brand for those who demand quality with an edge. Get these Honduran beauties as soon as you can! Shop at JR Cigars.com and find the best possible deals today!